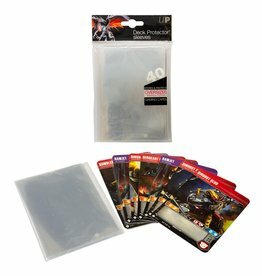 Populariteit Nieuwste producten Laagste prijs Hoogste prijs Naam oplopend Naam aflopend Alle merken Bandai Blackfire Dragon Shield KMC Legion Magic The Gathering The Pokémon Company Ultra Pro Yu-Gi-Oh! The Magic Carpet is perfect for storing and transporting your prized cards in an easy and stylish way. The exterior can be separated from the storage tray to be used as a playmat, so that you always have one handy when transporting your decks. Following the hugely successful Yu-Gi-Oh! Duel Links Mobile Game Speed Dueling will now be supported as a brand-new way to play physical ! Speed Duel Starter Deck Ishizu Ishtar Yu-Gi-Oh! Speed Duel Starter Deck Seto Kaiba Yu-Gi-Oh! Speed Duel Starter Deck Yugi Muto Yu-Gi-Oh! Speed Duel Starter Deck Mai Valentine Yu-Gi-Oh! Speed Duel Starter Deck Joey Wheeler Yu-Gi-Oh! Speed Duel Starter Deck Maximillion Pegasus Yu-Gi-Oh! Duel Power Booster Pack Yu-Gi-Oh! Flip Deck Holder Trio - A unique Deckbox that keeps up to 3 decks. Double Deck Holder - Protective Box for three decks in separate compartments. Double Deck Holder - Protective Box for two decks in separate compartments. by thickening and increasing the strength. with KMC Hyper Mat series & Silky Series. To stay on top, your team must work as one!